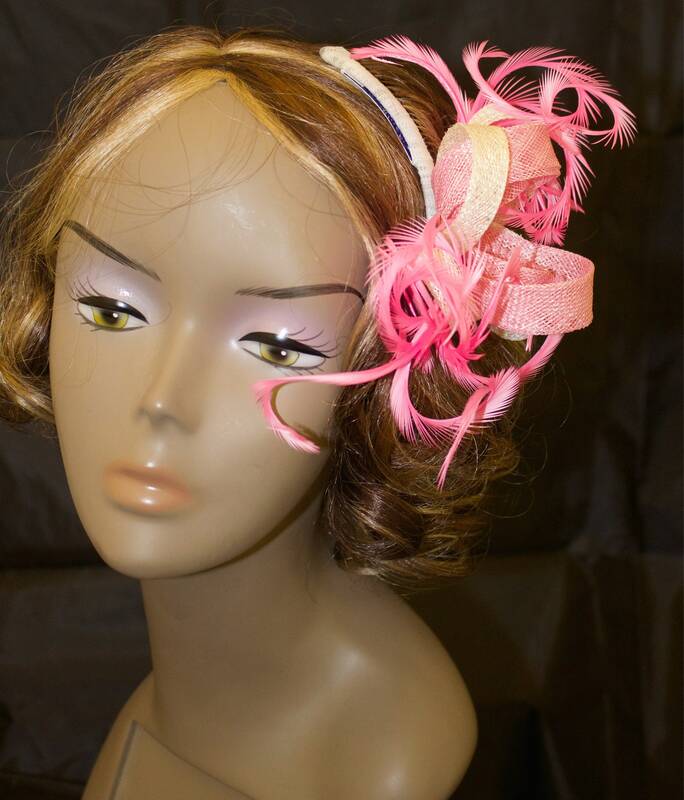 Pink and ivory sinamay swirl fascinator with curled bias feathers hair comb perfect accessory for upcoming wedding and racing season. Sinamay and feathers have been hand dyed to get this deep pink color and then curled. 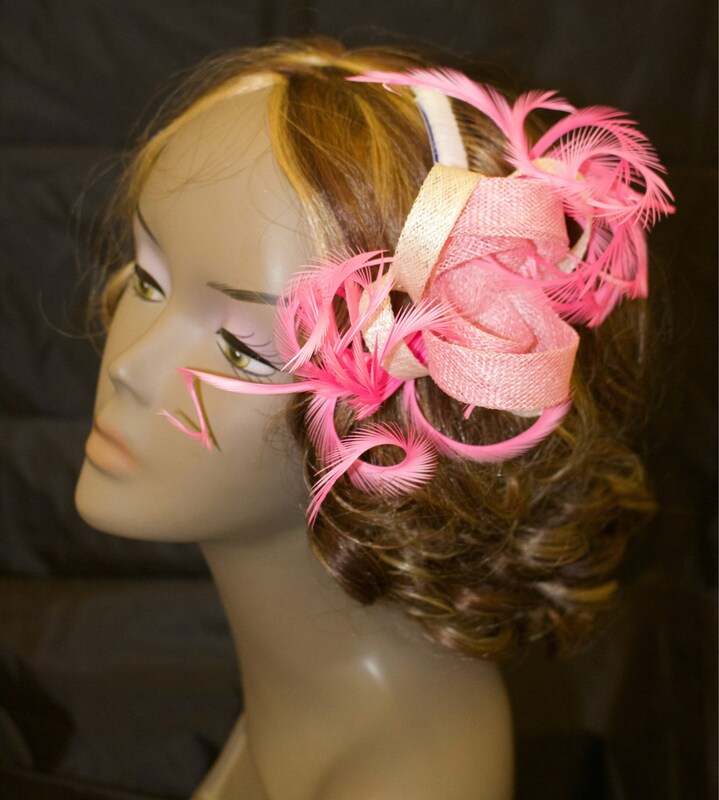 Fascinator is trendy hair accessory that is usually fixed to headband or comb. 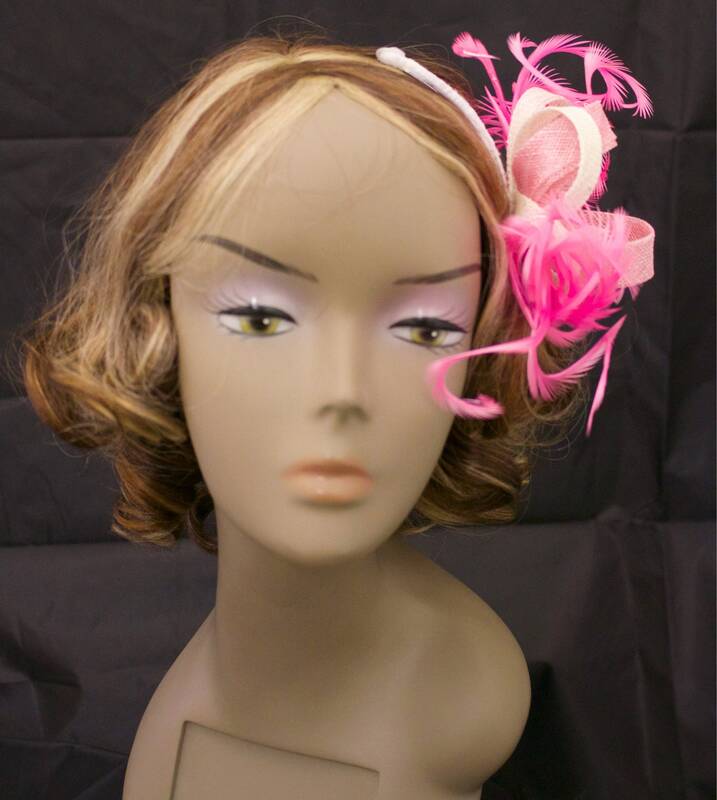 This fascinator is attached to metal comb but can be attached to headband. 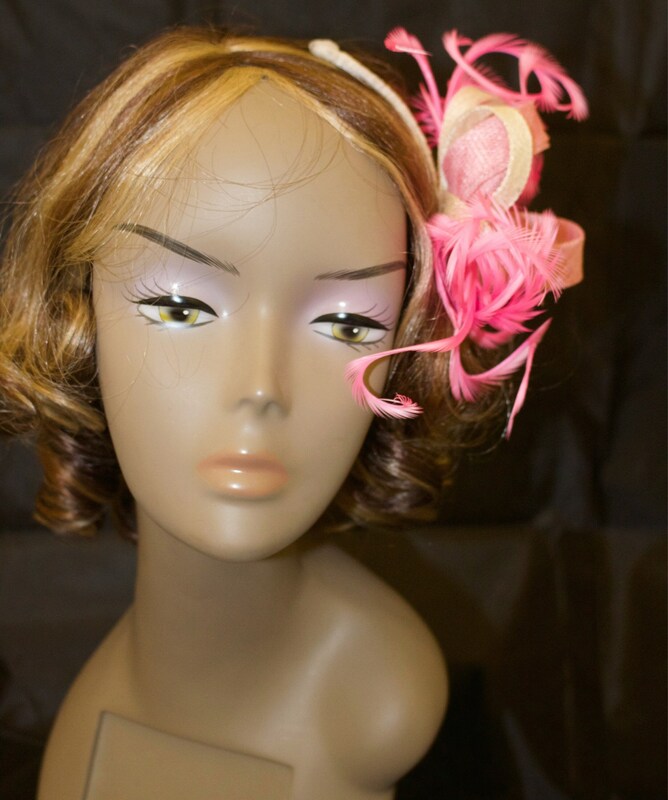 Color is fully customizable so if you need other color then contact me and I will color sinamay according to your needs. 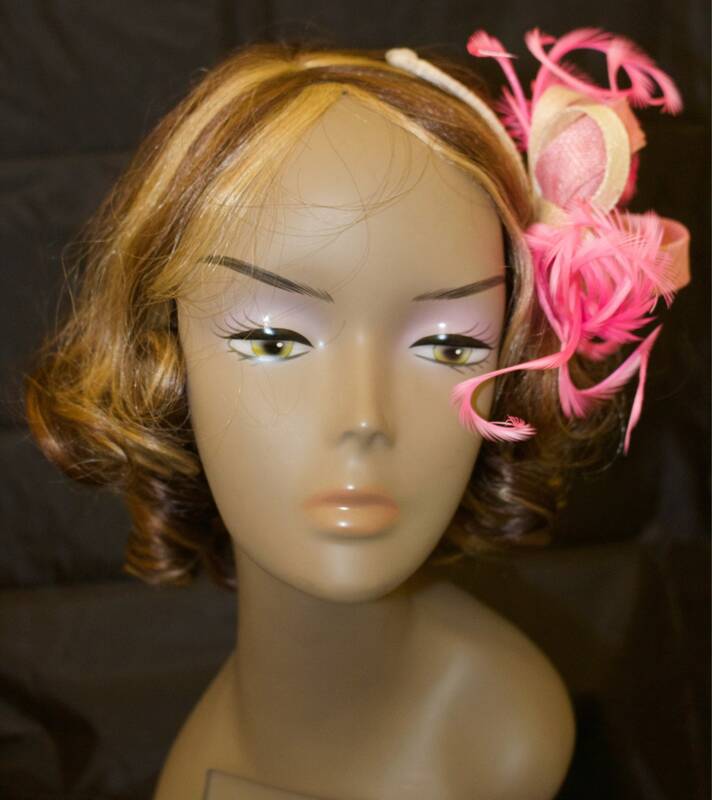 You also can send a fabric swatch if you make your own dress to match millinery color. 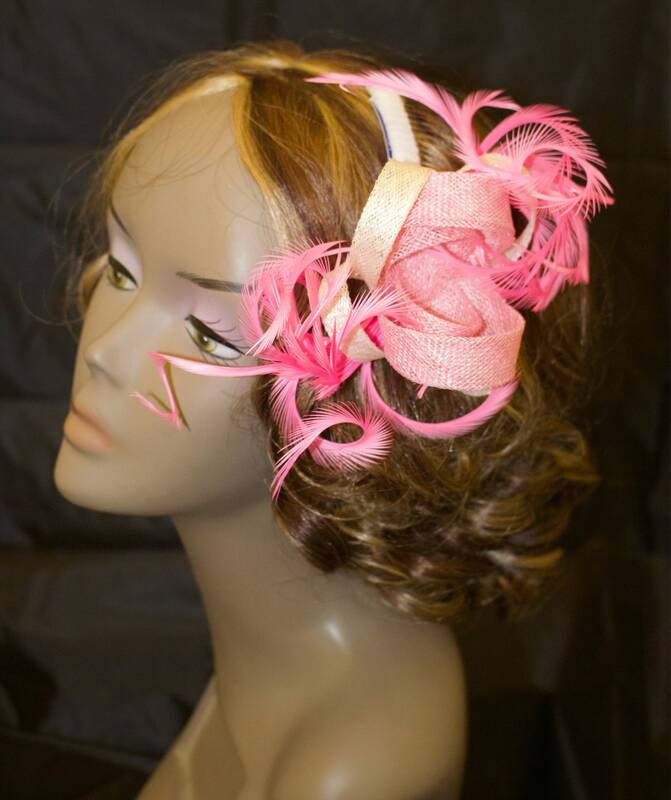 This one is ready to ship in this color but if you need other it will take few days to make. 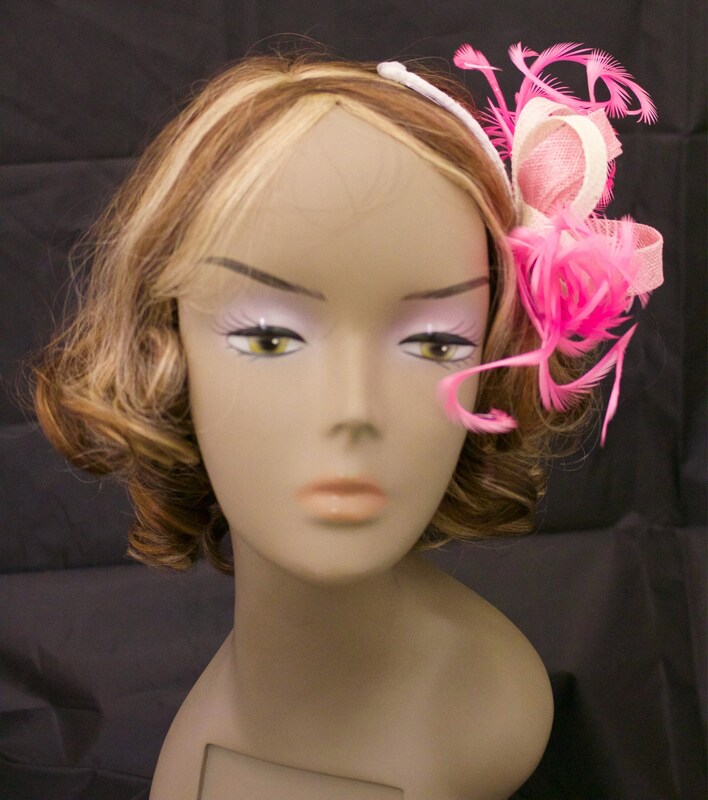 I send all my millinery in box so you can keep it while isn’t wearing it.